VC Sir, Hope you remember the above kit. Flaps added later. But the model kit witn tricolour wing in my earlier post was sent by you and that model has the best glide of all the gliding ladies that came in my life yet. And who is this VC? Someone who stopped looking at this forum 2-3 years ago, after his house got flooded, and still remains one of the top three posters on the forum. During your absence, RCI became almost a customs clearance portal for things far removed from model airplanes or RC. Gentlemen, please welcome VC, much missed, back to the fold again. Iyer Sir, he got a beautiful traditional fountain in his yard too as far as I remember. Which kit are you talking about Dreamliner? K.K. Iyer Sahab, I am humbled and emotionally affected by your post. It is amazing that you remember so much. As far as our doggy family is concerned,Chocolate passed away 31st. March 2015, Patchy is hale and hearty. The one person that I have missed the most is you Sir. I hope I can make amends now. By the way, we also have a feline member in our family. He is Sakura and I shall introdiuce you to him soon. 17 inches span with elliptical wing model named Zephyr. You guys may not know each other. Here’s a faded drawing of my friend Chocky and my sister that I drew in 1979. That Japanese fountain or Shishi Odishi has been destroyed due to the ravages of time. Building a new one now. Some gliders made over the last couple of years. All (apparent) gaps at the wing root and other places were filled with good old Wembley's Quickfix adhesive. Btw, Wembley's doesn't sponsor me in any way, but it is a darn good product for balsa. 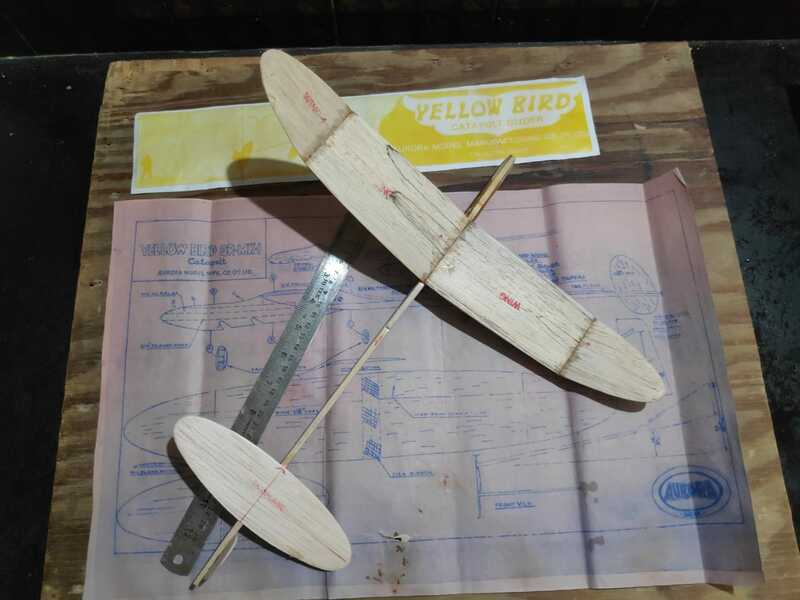 Some more Balsa Chuck Gliders. One more - the Queen Bee. VC SIR...WELCOME BACK......AND HE's BACK WITH A BANG... ..
Had sent the Yellow Bird Kits to a few guys. Don’t see any build pics or flight videos . Have the kits bren used?? 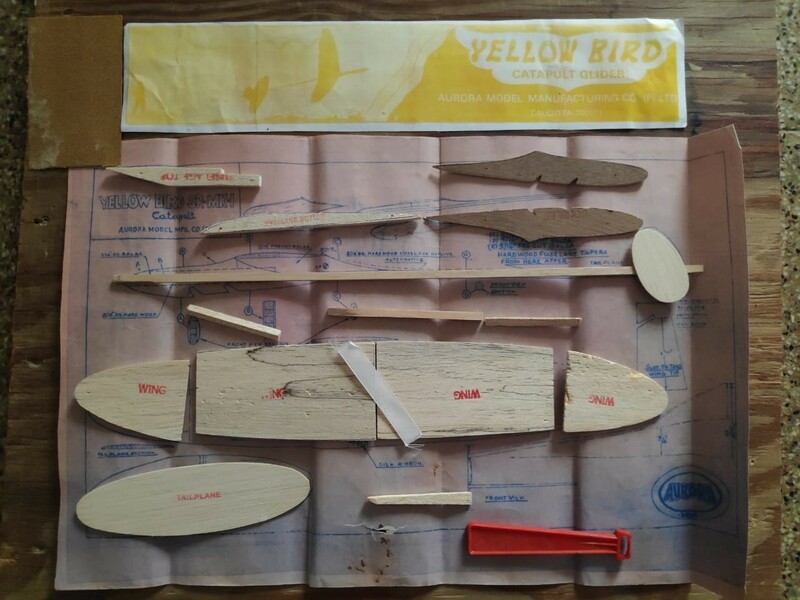 As per my word to Anant sir, today I started building the "yellowbird" kit he sent me. 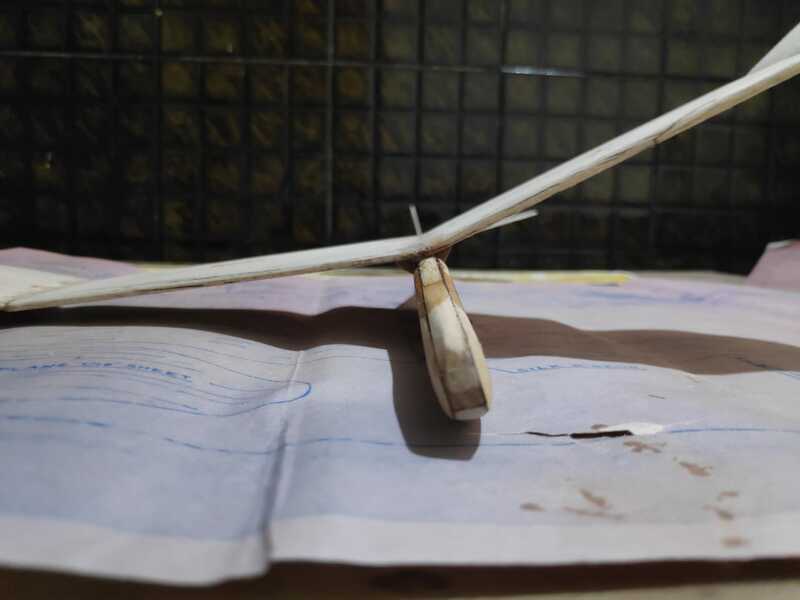 My earlier free flight models were mostly of foam until KK Iyer sent me a "The Tich". It was already cut and also sanded. I only had to glue it. Now with the yellow bird, I had to do the sanding. With its polyhedral wing and many piece fuselage, it looked complicated at first. 1. The CG in the blueprint is marked after the trailing edge of the wing My model's cg is approximately 2 cm before the trailing edge. Should I adjust the CG? 2. My models feels heavy. 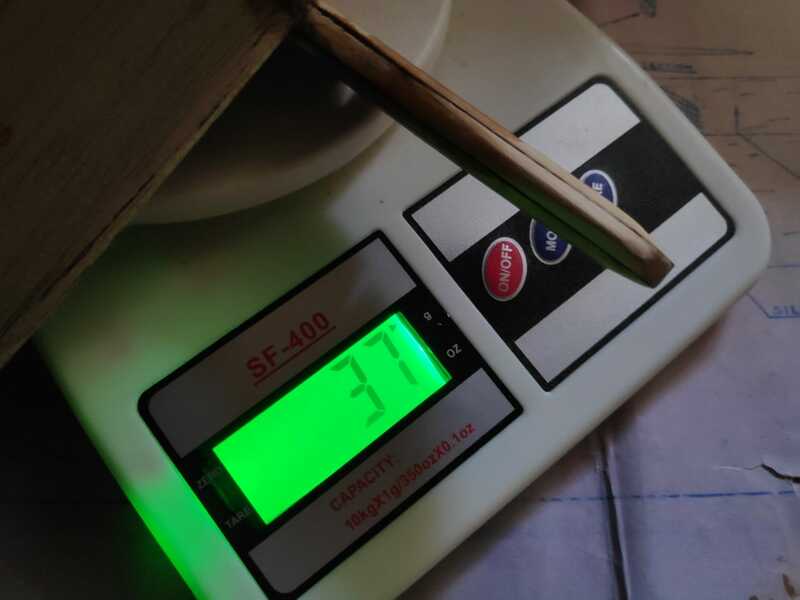 It is 37 grams. 3. I recently found about this picture varnish. 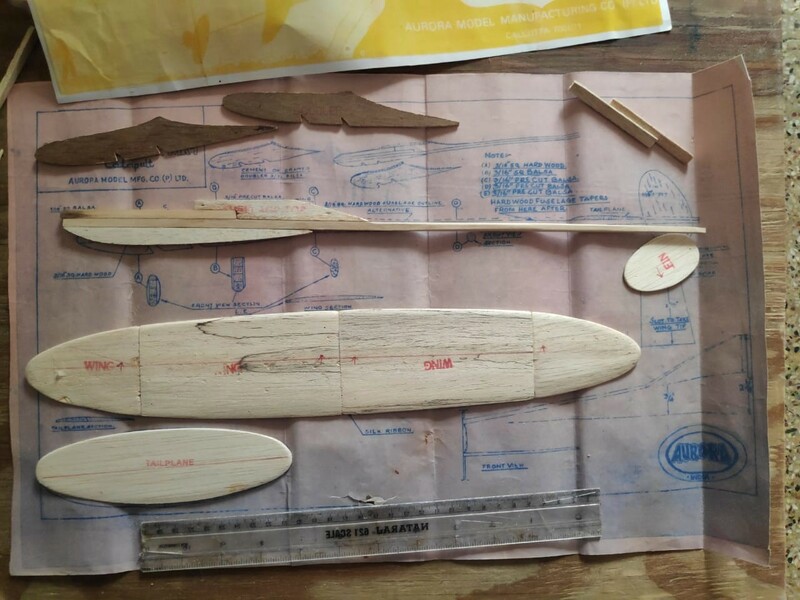 Can we use this for balsa? Looks good. KK or someone else will be able to advice on putting finishing coat. I am not too well versed in that. Weight is not critical. It is not an indoor duration model where weight is critical. As an outdoor model it is better if it a bit robust and can then also handle stronger wind conditions. The main thing is to trim it for a good glide and low sink rate. OK for the finishing.... get some clear lacquer....i.e. automative paint in clear colour. Any brand. Generally called Nitro Cellulose (NC) clear varnish. Dilute it a bit with the NC thinner and apply 2 coats on the model allowing it to dry well as you apply one coat. The paint will dry and the blasa fibres on the model skin will become really rough and hard. Use a fine grit sand paper to file off the surfaces and apply the coats again. Sanding the dried surface before applying the fresh coat. In about 3 coats you should have a very smooth finish. May take 4-5 coats if the varnish has been thinned a bit too much. The model skin will be very smooth with very little increase in weight. My 15” span YB weighs 37gms. What shobit17 sir says is the correct method. PROVIDED the raw model is light enought to take the weight of the finish! Moral: delay the finish till after test flying! @glidiator The plane sinks (actually dives) fast in a gently throw across the room. I guess a catapult launch will help. @shobbit17 Glidiator sent me a kit. Thank you. I will try sourcing the lacquer and thinner. Aye sir. 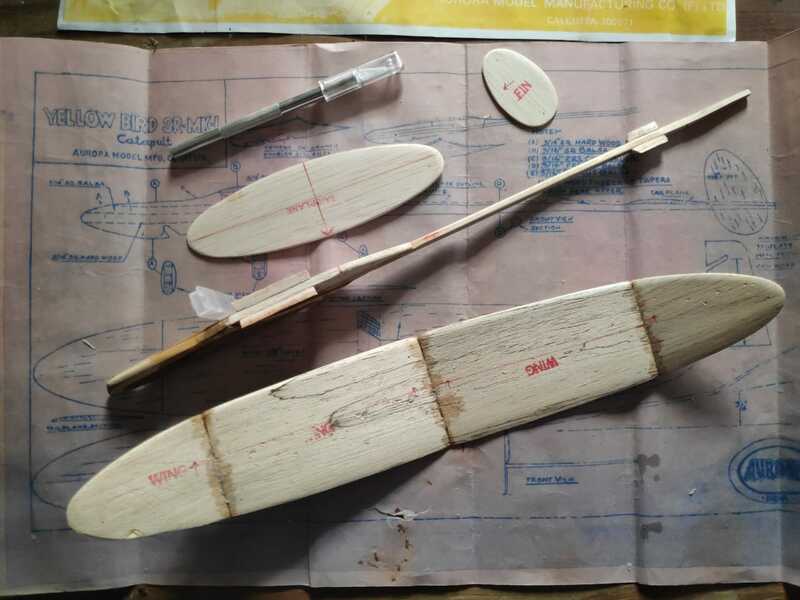 Although the fuse and wing parts are glued using cyanoacrylate; The wing, tail plane and fin are hot glued with the fuselage as the hot glue can flex a bit, so a rough landing will not break the wood surface. And will also help trim the plane. I will update on the flight tomorrow.